Unbelievable. I just got these Elixir 5's because of Magura Louise BAT clearance problem on a front ISO tab on a custom rigid steel fork. So I decided ok, I'll buy a set of Avid's since they're industry standard issue. Now, after all this f-n installation, the front is solved, but now the rear Elixir 5 caliper rubs against the spokes!!! It clears (barely) if I leave the calipers loose, but after CPS alignment process and after tightening down the caliper, spokes make contact with the caliper on every revolution spoke to spoke. I can't win!!! 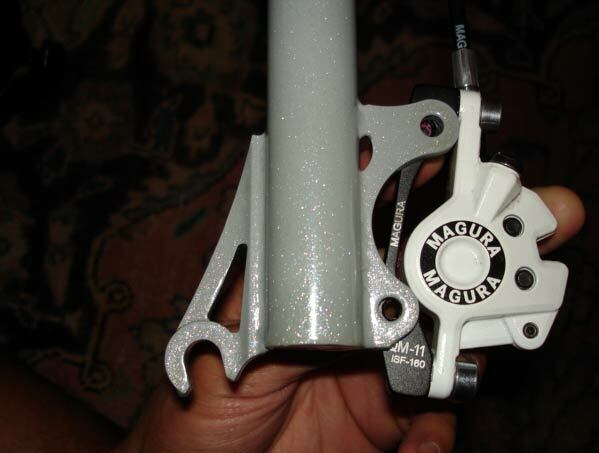 Magura's no go on front caliper. Elixir's no go on rear caliper. I am not going to run one of each brake!!! The frame is a Raleigh XXIX. The spokes are 36h 3x. Attached is a photo of the problem. Sorry for the badly lit photo. It's the bike flipped upside down. 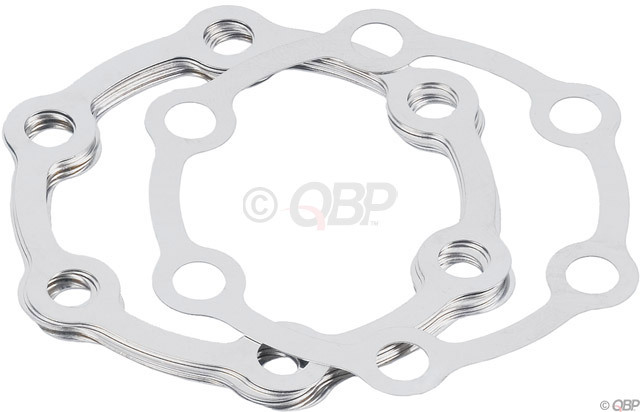 Shim the rotor outboard with these . Face the iso tab about 1mm to add clearance. 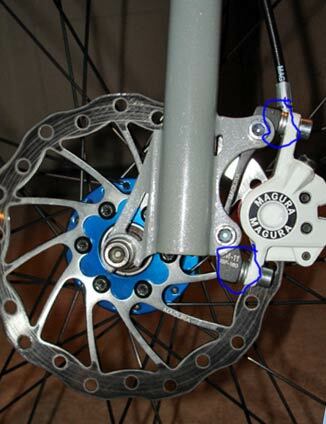 Otherwise talk to the guy who made the fork and get him to adjust his tooling to work with newer brake caliper designs. The problem with using the shim is that you may not have enough sideways adjustment built into the oval holes in the caliper to move it as well. Thanks for the tips. Sorry if I'm not following - but it's the CALIPER that is hitting the spokes, not the rotor. If I followed above tips, I would move the rotor, but that would move the rotor into the brake pads. 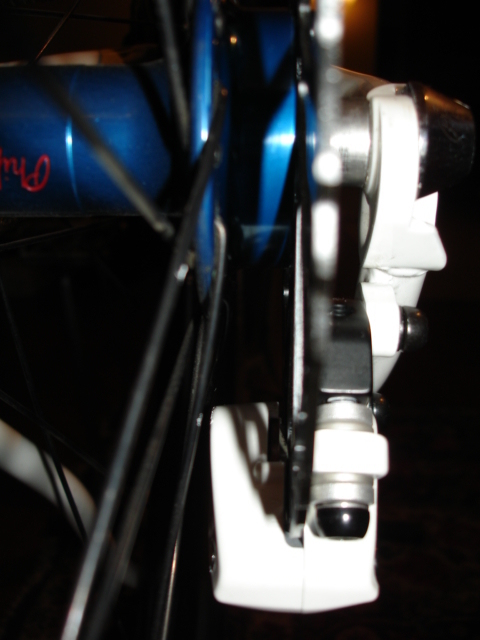 The caliper is designed to work properly when the rotor runs straight through the middle of it. If you move the rotor away from the wheel (spokes) by putting shims/spacers between it and the hub, then the caliper must also be moved away from the wheel to maintain proper operation. See? His caliper can't be moved any further from the wheel if I understand correctly Steve. I say insert a couple of spacers between the frame and the hub by adding a few thin washers on the axle on the non-drive side. It might be tough getting the frame to accept the 1 to 3 mm extra width but it will solve the problem. It did on my old Specialized and I had the same issue. 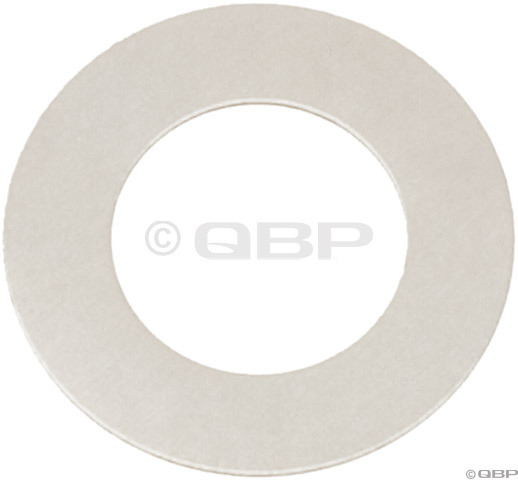 @Steve: I thought about it more and it's a possibility to add the disc rotor shim. I was led to believe from reading the reviews on the Avid Elixir that there is very little room in between the pads, less so than the previous hydro brake models. That is not confirmed but it's what I read. Just to be clear, one solution would be 185 adaptors, 185 rotors. I don't like the looks or the stress 8" will create on the rigid steel fork. Hypothetically, the CPS mounting system along with the centering of the pads does create some movement. I'll try the shims first. If not, then I'll try the spacers on the hub. The frame is steel so it will take the cold setting. Thanks all for the tips. To add, shims for calipers and shims for the rotor! The original reason for replacing the Louise BATs with the Elixir 5s: The piston on the caliper did not clear the tab enough for the lower tab bolt to clear. Because the solution is to use shims on the rear Elixir 5, I'm thinking why not just use caliper shims on the front used Louise BAT caliper and box up the new Elixir 5's. Does that sound ok? I would have tried a different front adapter. Ditto to what the folks saying to space the rotor out. I've seen this kind of interference on other hubs, most notably WTB from early 2000. There is something not in spec on the hub and while not what you want to hear about a Phil, it's easily remedied. @roybatty666: That was the first blunt choice - but with the new powdercoat and clear coat on the fork, and being this is ridden daily, including rain and winter, didn't want to have a rusty spot forming so soon. Couldn't you have filed the adapter with the Maguras? Shim the rotor out. Recenter the caliper... unless it's the caliper that's maxed out the side to side adjustment of the slots. In the case, you'll need to remove some material from the disc tab by facing. XSL: I could have filed the actual iso tab on the fork to fit the maguras as they were. That as the first logical thought (monkey bashing a computer with fists for example) Being this is my daily commuter and rain machine, no, I did not want to deal with corrosion on the steel fork after filing.